Again, a huge thanks to Heidi McCube for letting us use her idea! Our readers are the best! 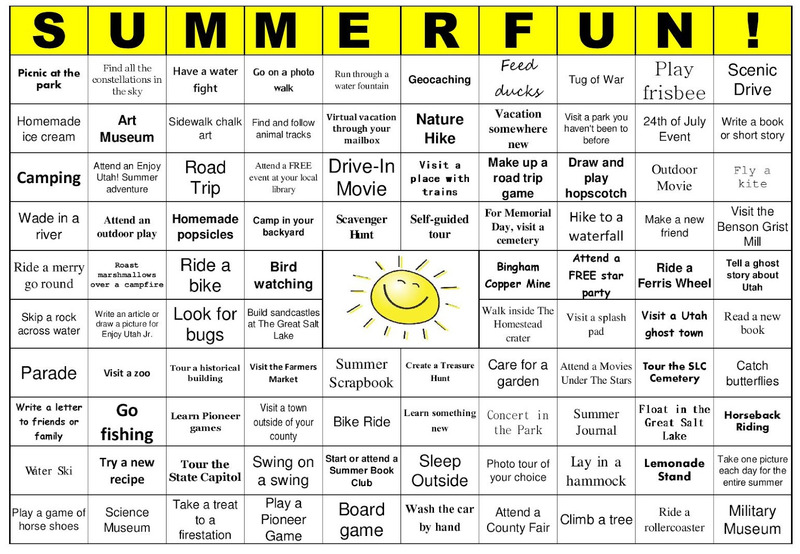 You can download the Summer Bingo sheet to print HERE. 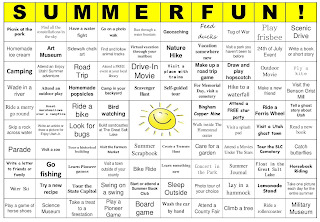 If you would like to create your own Summer Bingo sheet, email me at contact@enjoyutah.org and I will send you the master template. Summer Bingo Resources:Below are resources for helping you complete the summer bingo sheet. If you need help finding resources for some of the activities listed above, email me at contact@enjoyutah.org. If you know of a resource that fits into our Summer Bingo program that I have forgot, please email me at contact@enjoyutah.org. Constellations: Visit the Clark Planetarium, or attend a FREE Public Star Party with the Salt Lake Astronomical Society. Photo Walks: Join Photowalking Utah or Photography Tours in Utah. I'm so glad that you enjoyed my winterBINGO list and are doing a sumerBINGO list as well. I'm in the process of creating mine as well and have a few blank spots...luckily yours gave me some ideas.